Combining dexterity, mechanical protection and grip, the Portwest Latex 3/4 Dipped Grip Xtra Gloves A105 are the perfect choice for a range of work duties. Built with expert handling capabilities, they feature a latex crinkle-grip finish that provides superb grip in wet and dry conditions, as well as impressive dexterity for secure handling of any material. 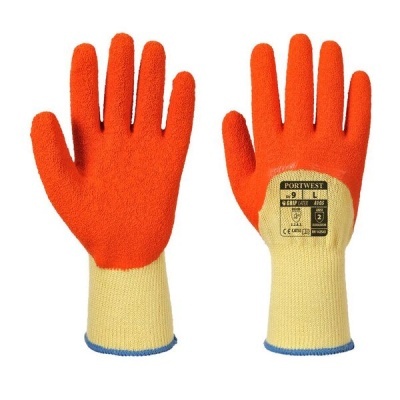 The Portwest Latex 3/4 Dipped Grip Xtra Gloves A105 are designated Category I gloves, which means that they are suitable for most minimal risk tasks. The Portwest Latex Gloves A105 are available in three sizes, one of which should suit the hands of most users. Please measure the circumference of your hand around the knuckles (excluding the thumb) with your hand open and your fingers together, and the length of your hand from the tip of your middle finger to your wrist.